Cabinetry design is not limited to the kitchen! 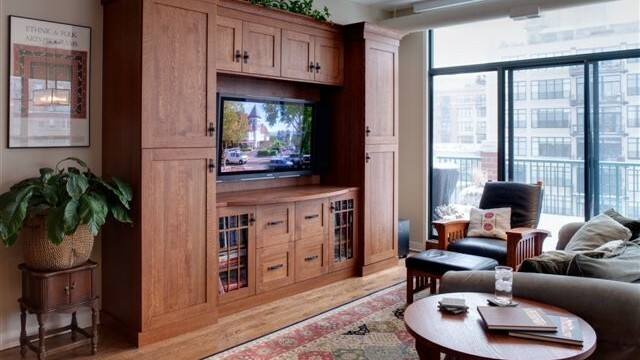 In this example, quarter sawn oak is utilized to create a very custom entertainment center housing electronic equipment distinctly specified by my client. Everything is in it’s place and easily at hand!